A View of the Lake, by Beryl Singleton Bissell, is a vibrant collection of reflective essays centered on the North Shore of Lake Superior, Minnesota. Each slice-of-life chapter transports the reader into Ms. Bissell’s life in this majestic country, as well as connecting us to her gentle spirit.Sometimes thoughtful, often humorous, and ever delightful, the work spans topics dealing with the life of “newcomers” in the town of Schroeder to an intimate and stirring connection with the great outdoors. From encounters with bear, moose, deer, and rare bird species, to a private viewing of the Northern Lights, to poignant experiences with neighbors, this assortment of day-in-the-life type stories will charm the most jaded reader.Take, for example, this excerpt from “Historical Society”, when the author joined the Schroeder group to help document stories of the residents. Oftentimes the locals lamented not having recorded stories from their parents and grandparents, and expressed a sadness over this loss.“There were times when, as I sat taping others’ memories, I experienced this loss personally. My mother died before I was wise enough to ask questions. I now hold only fragments of her life, each piece bristling with questions, each piece weighted with the unknown.We are born. We die. We do what others do. Some of the elders wondered why I wanted to know about their lives when they’d been so uneventful. In the telling, they came to a fresh appreciation of themselves and the community in which they’d lived for such a long time. Like a musical score played over and over again, the sound, timing, and interpretation are never quite the same.”Who among us hasn’t experienced such thoughts? Universal themes such as this loss of family history, this common plight among man, resonate throughout the book. I often find myself up against the same dilemma. Even now, fourteen years after the death of my father and last remaining grandmother, a question about our heritage pops into my mind, and I reach to pick up the phone to call one of them, before realizing once again, it’s too late. Ms. Bissell’s themes resonate with this reader on a rare and special frequency.But Beryl Singleton Bissell’s book is not all sadness and longing. No, on the contrary, it is filled with the spirit of adventure, love for fellow man, a passion for and connection with each and every tiny aspect of nature, and most of all, the embracing of life. Ms. Bissell frequently shares philosophical gems, such as this excerpt from the chapter named “Shrike Attack”.“Winter focuses a harsher light on North Shore living, reminding me that nature, while beautiful, caters to no one and no thing; beauty is not always benevolent.”Each of the chapters is enjoyable, and although filled with literary gold, the book remains entirely readable, broken into small chapters that can be enjoyed in a sitting or in a full-fledged marathon as I did while flying overseas to Germany last week. I longed to join this author at her side as she bent over emerging flowers in the spring, slogged through snowy trails, or watched the wonders of the sky, as in this segment from “Northern Lights.”“…I bounded into the bedroom to wake Bill. Together we rushed out into the subzero temperatures dressed only in our pajamas and robes. Together we stood on the deck and entered ground zero of an incredible light show that shuddered around us like fireworks behind gauzy veils. It rippled and spun and folded; it expanded and dissolved; it burst and flared. I felt a searing joy.”Although her readers may never physically see the Northern Lights, in their minds they’ll never forget this dazzling show.Ms. Bissell has been through some incredibly tough times in life (see her first book, The Scent of God), but it’s her faith in God, her indomitable spirit, and her ability to enjoy the little things in life that carry her through, in addition to her devotion to her wonderful husband, Bill. But I believe it’s her ability to commit all of this to the written page that may have helped her purge her spirit of those sufferings best of all, and which will continue to inspire us all. The process is sublime, for writer and reader, and I for one thank her for taking the time to share these gem-like stories with the rest of the world.I’d like to finish with one last quote from A View of the Lake, taken from the chapter entitled “A Night of Shooting Stars.” In this essay, the author has just witnessed the Leonid meteor showers.“Small, vulnerable, and intensely alive at that moment, I gave thanks for the incredible universe that sustains and enlivens all creatures. I was no longer sipping from the cup of life, I’d become one with it.”Very highly recommended by Aaron Paul Lazar. ***Aaron Paul Lazar writes to soothe his soul. The author of LeGarde Mysteries, Moore Mysteries, and Tall Pines Mysteries enjoys the Genesee Valley countryside in upstate New York, where his characters embrace life, play with their dogs and grandkids, grow sumptuous gardens, and chase bad guys. Visit his website at www.legardemysteries.com and watch for his upcoming Twilight Times Books releases, FOR THE BIRDS (OCT 2011), ESSENTIALLY YOURS (2012), TERROR COMES KNOCKING (2011), FOR KEEPS (2012), DON’T LET THE WIND CATCH YOU (2012), and the author’s preferred edition of DOUBLE FORTÉ (2012). I couldn't decide if I should "save" this book reading only an essay at a time, savoring each one over many days, or read the book straight through. I tried to read each essay a day at a time but this book is so wonderful I read it through in just a couple of sittings. That is not to say I didn't savor it, as I did, and now I savor the re-reading of the essays for even more pleasure than the first time through.I only get to the North Shore once a year but with this book I can travel there any time I need a Lake Superior fix.There is a saying that some people come into our lives qickly and go on, others come into our lives, stay a while and leave footprints on our hearts and we are never the same. This author, this book, is one that will leave footprints on your heart and you will never be the same. I will come back to this book often, whenever I find myself missing the lake and the view. This book is a wonderful gift, the gift of the North Shore, the Lake, anytime I want and the gift of a gentle woman with a passion for life that is contagious. Beryl embraces life and lives it passionately. She is continually learning and finds more ways to get involved and experience things than most of us would and shares them with her readers. I was patiently waiting for the book “A View of the Lake” to be published and purchased it with great excitement and enthusiasm during our vacation on majestic Lake Superior. I was lucky enough to have the most amazing and brilliant author Beryl Singleton Bissell sign my copies, what a special and memorable occasion.As soon as we reached our destination, I could hardly wait to get started on reading this beautiful and extremely well written book. Beryl’s writing style is magnificent! She captures ones full attention with her fun and truthful stories which flow so well that I could imagine myself being in the midst all the places the author mentioned. I sat on the balcony of our condo right on the Lake and read each story with great passion and excitement. I could not put the book down even for a minute. As I was turning the pages I kept thinking “WOW, I purchased a treasure” which I will keep on my coffee table for all our friends and family to enjoy. I even bought several copies to give as gifts. I already know that all the recipients will be fascinated and entertained when reading the “A View of the Lake”. It is my all time favorite book which I highly recommend to all readers. I am the author of this book so take this into consideration as you read. I'm convinced that if you love Lake Superior, or lakes in general, or dream of packing up and moving to an idyllic spot, you will love this book.When my husband and I made an impulsive move to the North Shore of Lake Superior, we knew we were out of our minds. We just could not resist the siren call of a breathtaking, soul-expanding view of Lake Superior in a landscape rife with nature and wildlife and enlivened by an odd community of 187 persons comprised of old-timers and new-comers and all those who've landed somewhere in between. We've now lived here 13 years and though the journey has not always been smooth we've put down our roots. We even bought a cemetery plot here which must mean we plan to stay. Meanwhile, life here continues to provide plenty of excitement, laughter, learning. And, though the climate is far from the tropical paradise which I once dreamed of, I've even learned to love the cold.Why not take a trip up this way, albeit vicariously, through my book. I'd love to have you on the journey. “--The glass front door revealed a house filled with windows and these windows were filled with lake.”So begins the luminously beautiful journey of Beryl Singleton Bissell’s, “A View of the Lake.”Beryl’s short stories are like glimmering jewels for the mind and soul. She brings her readers into a world where humanity & nature become one. A world so thoroughly magical & melodious that we don’t want to depart once we’ve entered. And one needn’t live on the North Shore or be good Minnesotan to cherish the insights about life.“Place reveals itself one day at t time…in the end it’s not the accumulation of facts that matter, but the wisdom born in the journey.”In “A Summer Case of Spring Fever,” Beryl chats to the glue eyed grass. “….look at you,” she exclaims, “if you aren’t the most beautiful little things!” Moreover, she admits to Congratulating the winter wrens for their glorious songs. I found myself shading with yellow marker line after line of beauty as I do with the great poets. I found myself wanting to visit the post office in Schroeder to sip strong coffee and gossip with the locals. I found myself wanting to sit on the deck with Beryl to listen to the rippling waves of Lake Superior. “This is the place where we came in search of a home and found as well our reason for being.”---A View of the Lake----Oh, one more thing. Beryl, you may not see yourself as a naturalist… but you are. You Are! What a delightfully written book by an equally delightful lady. I picked this book up just before a trip to Lake Superior...just happened to find it the day before I left. Well, Beryl's view of that Lake was also mine for seven days...and just a few miles down the road from her as well! It was just sooooo fun to read, recognizing in my mind and heart what she so beautifully put into words. It isn't a long read...rather, little snippets two or three pages long on her life experiences since moving permanently to the North Shore of Lake Superior. It delighted me and I had the great urge to jump in my car and drive those few miles down the road, knock on her door and...well...probably scare her half to death. Ha! If you love the North Shore of Lake Superior do not miss this book...it's filled with nuggets of gold. Beryl Singleton Bissell...please write more and more about your little paradise!! Beryl the author is a good friend. I'll read whatever she publishes.The book cover shows a view of Lake Superior from the lakeside of their home at Schroeder, MN. My wife and I have visited Beryl and her husband Bill many times. Some of the stories are about friends we have in common. We walk the same trails along the Superior Ridge. We share common interests in history, culture, the arts, and community.The book title is a variation on a Georgia O'Keefe painting, "A View From the Lake". We have a print hanging in our living room. I chose to read the book one chapter each night at bedtime. Each chapter is no more than three or four pages long. Reading affects me like soft music to wind down the day, and because I know the reality of the images she creates, I drift away with my own memoir stories. One of my very favorite authors has done it again - written a book so compelling and readable that you feel like you are RIGHT there with her, experiencing life, love, and nature on the North Shore of Lake Superior.Beryl Singleton Bissell's new book, A View of the Lake: Living the Dream on Lake Superior, is one that you absolutely MUST have. You might tear through it all at once, as I did (on the porch looking out at our lake, during a rainstorm, mug of hot tea in hand), or take it slowly (well, who could do this? But I imagine someone might be able to slow themselves down and dole out the goodness).Beryl and her husband fell in love with the North Shore, as Minnesotans call the north shore of Lake Superior, geographically north of Duluth, running up past Grand Marais to Cananda. And what did Beryl and Bill do with this great love of place? They elected to move there. While some travelers do just that (just look at the expat communities worldwide), it is unusual enough in your own state.And what a move. From the Twin Cities, with arts and culture galore, to the tiny town of Schroeder (pop. 180). From a city to wide open spaces, where nature rules. It's fascinating, this land she loves. These stories Beryl shares, of walks, hikes, bears, birds, family, and incredible people, pull you in and take you there. While the book is centered around being on the Big Lake, rarely does it feature in the chapters. Instead, Beryl looks inward (both geographically and physically) and explores what it is like to live there, on the majestic, ever-changing Lake. The setting practically glows with the love Beryl imbues in her writing - lucky visitors can attest to the beauty of place. That simple joy of being somewhere you love shines through, in this extraordinary book, written in her tiny red writing shed next to the Lake.It's a treasure to be read time and again, a timeless paean to the soul - the stirring beauty of Lake Superior and the just-right feeling of a sense of place that Beryl has shared. We interviewed Beryl about her book - to read more, see: http://www.wanderingeducators.com/bes...Bottom line - I can't imagine not having this book, these words, this sharing in my life. Thank you, Beryl! If you look at something long enough and deeply enough, you become that thing -- this seems to be what Beryl Singleton Bissell and her husband, Bill Christ, experienced in their wild but not rash move from the city to a tiny town on the north shore of Lake Superior. Nothing mattered to them more than the view--not the house, nor the inconvenience of uprooting their more conventional life--to opt for the ever-changing, primitive, sacred beauty of the largest of the Great Lakes. Did they know how they would be changed?The view claimed them. The lake became a teacher and a metaphor for the soul. I knew I ought to stop after each of Beryl's short essays to ponder the deeper waters of wisdom communicated through her descriptions of people, places,and events, but I just kept reading on and on--story after story, insight after insight. I'll come back to this, I promised myself as I turned yet another page.Now I look out my own window. How has my view changed me? How has my soul expanded because of my own environment? What might I become by looking longer, looking deeper? I loved this book! I have lived in Minnesota most of my life, and I too feel the shore of Lake Superior is a special, magical place, unlike any other. I so love the way Beryl tells her story. It feels like a conversation with a good friend when reading this book. Beryl really brings out what is special not just about northern Minnesota, but small town America. The warmth of the people, the interaction with the wildlife and adapting to a new climate. Ms. Bissell takes us along on her journey of becoming a Minnesotan in all the good senses of that term. This book is for all those who have dreamed of or are fortunate enough to have that special place that nurtures the soul. Beautifully written, personal vignettes, honestly expressed. Waiting for more from this author! Thank you Beryl! This beautifully written memoir, divided into four "Seasons of Learning" draws us into the life of the author as she lives on the North Shore of Lake Superior. What seems as an impulsive move in the beginning of the book, ends up to be a rich blessing. Each essay is two to three pages long, and each essay is a jewel to reflect upon. From the author's encounters with bear and moose tracks, to learning the names of wildflowers and butterflies, the reader is transported to the wilds of the lake and its surrounding areas. It also takes you an a deeply spiritual journey. These beautifully written essays leave you longing for more. But be careful...this small but deeply poignant book makes you want to drop everything, sell your home and move next store to the author! I loved this book of brief essays about life along the north shore of Lake Superior. The author and her husband, originally from the Twin Cities, bought a house in a small town on the lake after they fell in love with the view. Bissell's essays are a nice mix of reflections on her own life and commentaries on the quirky lifestyle and residents (animal and human) of the north shore. Of course, the book is infused with the beauty of the area. There is also a thread of spirituality that ties the essays together. All in all, this is a lovely reflection on life in a beautiful Minnesota location. It made me want to jump into the car and head north! I couldn't decide if I should read this book quickly, or slowly one essay at a time. I started reading it slowly, but found myself reading more each day. This is a beautifully written book of the author's life as she lives on the North Shore of Lake Superior. Each essay that is written is about 2 or 3 pages long. You read about encounters with long residents of the area, to animals, birds and flies. The essays are great to read, but they also take you on a journey of discovery. Beryl's husband , Bill, officiated my wedding on Lake Superior so it was fun to read about his life up north. My husband and I spend a lot of time on the north shore, especially around our anniversary or when the lupin is in bloom. We dream of owning a home on the lake, too, especially near Hovland. It's great to read about someone else making the dream a reality. It was a joy to peer into the life of a north shore resident through these stories. Thanks Beryl!! This collection of essays is a must read for anyone who loves Lake Superior like we do. Picking blueberries, walking the Superior Hiking Trail and conversing with local residents are all part of the book. This was the second time I read the book but I liked it just as much while reading it again. I wish the author would write a sequel. A nice collection of personal essays on a variety of topics, all centered around living on the shores of Lake Superior. No earth-shattering revelations, but beautifully written descriptions of many of the simple pleasures of an unhurried, unharried life. These little essays, originally published in the local newspaper, would probably be more enjoyable read in that one-at-a-time fashion. They are well-written but somewhat less pleasurable read in this format. Do I want to live on the North Shore? Why, yes, I do. I enjoyed the living and learning this book expressed. Beryl Singleton Bissell - The award-winning author of The Scent of God -- a Book Sense notable in April 2006 -- selected by the Minneapolis Star Tribune as a "Best of 2006 Minnesota Authors." Writes frequently for Lake Superior Magazine, was a columnist with the Cook County News Herald for 10 years, has been published in numerous publications in print and online, and in the anthologies Surviving Ophelia edited by Cheryl Dellasaga and The New Writer's Handbook:a practical anthology of best advice for your craft and careeer, Volume 2. 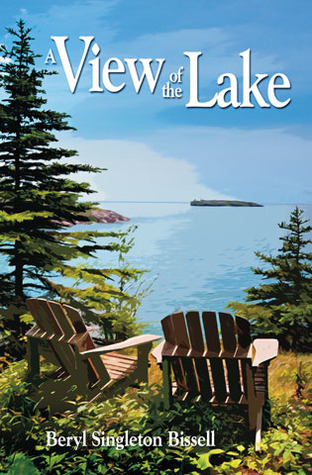 Beryl's second book, A View of the Lake (Lake Superior Port Cities Inc, was published July 1, 2011.